It was a great finish to what’s been a career season for Green Valley Country Club member Jeff Wilson. For Olympic Club member Randy Haag, it was another kick to the stomach. 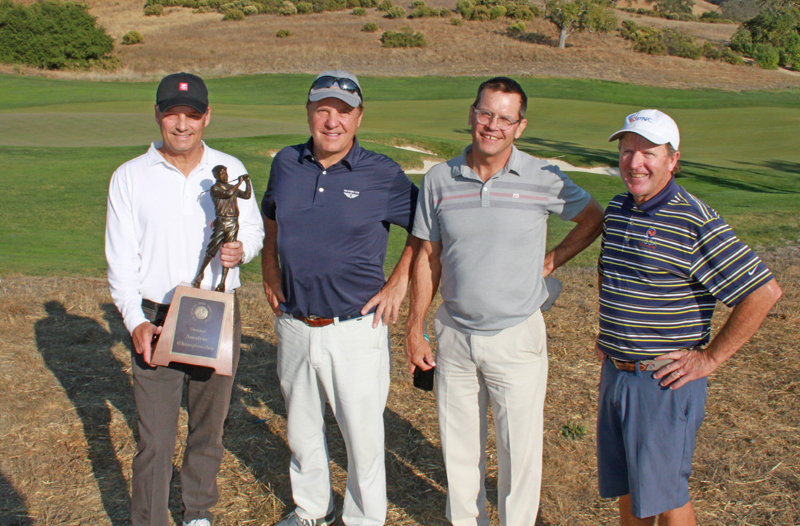 Wilson shot a final round 2-under 70 Wednesday at par-72 The Preserve Golf Club in Carmel thanks in part to a late surge that included a Tiger Woods-esque slow motion birdie on the 18th hole to win the annual California Senior Amateur Championship by two shots over Haag. The 55-year-old Wilson, who finally got the USGA monkey off his back with a win at this year’s U.S. Senior Amateur, was making his first California Senior Amateur debut. Wilson would find himself toiling yet again to shake off Haag. Coming down the stretch in what became a duel, the Fairfield resident made the first big move by carding a birdie on the difficult par-4 15th to take a two-stroke lead. There, it was a 20-foot putt that fell into the cup. Haag, who last went head-to-head with Wilson (and lost) at the Homestead Mid-Am back in the early 2000’s, cut the lead back to one when he sank a 12-foot birdie putt on the ensuing 16th hole. But Wilson immediately got that shot back on the 17th when he got up-and-down for birdie after his approach shot to the par-5 stopped just off the right side of the green. On the closing 18th, Haag again looked to have a chance when he stuffed his approach shot on the par-4 to within a few feet of the flagstick, while Wilson left his second shot just off the green in two. Wilson put an end to any further drama, however, when his curling, 40-foot birdie try stopped at the edge of the cup before finally tumbling in ala Woods’ chip on Augusta’s 16th at the 2005 Masters. For Haag, it was another moment of disbelief. At the 2017 NCGA Senior Championship, Tony Padilla took the title from Haag when he sank a 60-foot-plus putt on the 18th at Poppy Hills. In the last 13 months, Haag has been runner-up six times, including at this year’s NCGA Four-Ball Championship and the Seniors (British) Amateur Championship. Earlier in the day, it looked like it was going to be Haag’s day. While two-time champ John Pate, who began the finale just two behind Wilson was struggling his way to a 78, Wilson himself was having issues. He’d bogey two of the first four holes but settled down to shoot a front-nine 38. Haag had numerous opportunities but couldn’t capitalize. On the par-5 8th, he’d reach the green in two but four-putt for a bogey. He’d follow that up with another bogey on No.9 en route to a 71. Finishing tied for third at 219 were Casey Boyns and Bruce Hanavan after rounds of 71 and 73, respectively. For Wilson, the victory also sewed up NCGA Senior Player of the Year honors. Jeff Wilson is still alone atop the leaderboard, but this one is set up for a fantastic finish. Wilson, who won this year’s U.S. Senior Amateur Championship, carded a second round 1-over 73 Tuesday at par-72 The Preserve Golf Club in Carmel for a two-day total of 2-under 142. Just a shot back at 141 is 2018 NCGA Hall of Fame inductee Randy Haag following a 73, while at 144 is two-time champ John Pate of Santa Barbara after a 74. Both Wilson, who turned 55 this year, and Haag are looking for their first Cal Senior crowns. A day after carding just one bogey, Wilson would post four. The longtime Green Valley CC member got three shots back, however, thanks to a birdie on No.7 and an eagle on the par-5 8th. Haag carded five birdies but also had four bogeys and a double-bogey on the par-5 13th. Pate was also slowed by a double-bogey on the 15th. Only three shots back at 145 after a 70 is SCGA member Craig Calkins. Former champ Jim Knoll, the winner of this year’s NCGA Senior Championship, slipped back to T-15 after a 78. Gary Vanier, another former winner, is still in the hunt at 146 along with six others after a 74. The cutline (low 30 and ties) came at 8-over 152. Among those missing the cut were defending champ Mark Morgan. 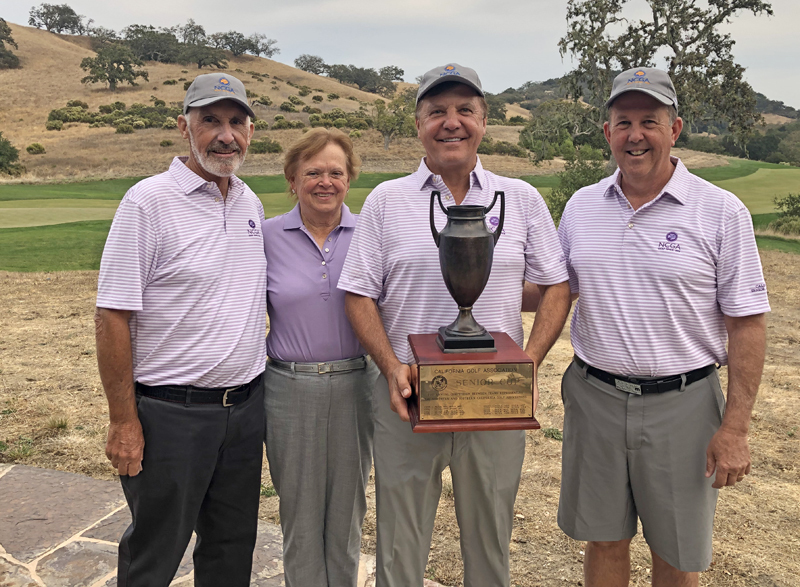 In the annual Senior Cup, which pits three players from the SCGA versus three players from the NCGA (best two scores out of three), the NCGA slipped by with a tight 291-292 victory. The NCGA was paced by Haag’s 73, while Knoll and Morgan shot 76. The SCGA got a 71 from Burda, a 73 from Robert Funk and a 75 by Craig Davis. The NCGA has won the title eight of the last 10 years. The lead belongs to 2018 U.S. Senior Amateur champ Jeff Wilson, but this one is far from over. Wilson, who became a USGA champion for the first time in August, took the first round lead at this year’s California Senior Amateur on Monday, carding a 3-under 69 at par-72 The Preserve Golf Club in Carmel. Wilson, of Fairfield, posted four birdies–including back-to-back on hole Nos.7 and 8—to go against a lone bogey on the par-4 10th. A resident of Fairfield and longtime member at Green Valley CC, Wilson is making his Cal Senior debut, having turned 55 this past June. While Wilson leads, he has some formidable foes right on his heels. 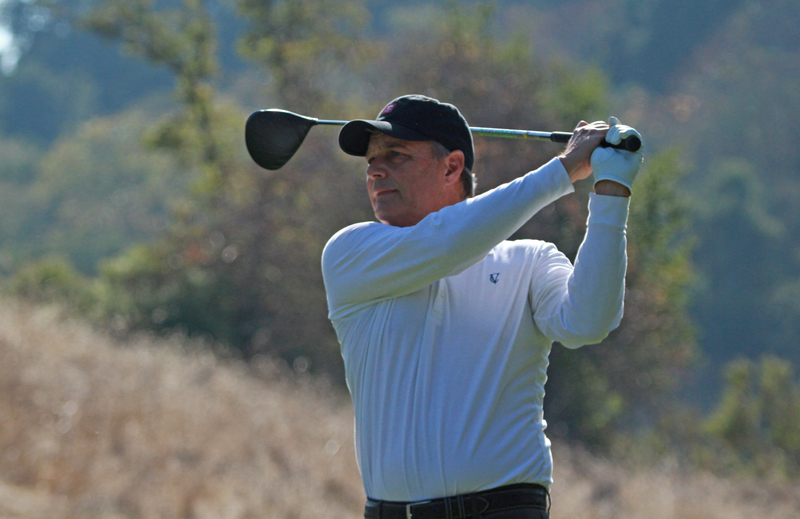 SCGA member John Pate of Santa Barbara, a two-time winner (2014, 2016), is just a shot behind after a 70 that featured five birdies and three bogeys. Also at 70 is 2018 NCGA Hall of Fame inductee Randy Haag, who would like to add a Cal Senior title to his resume. 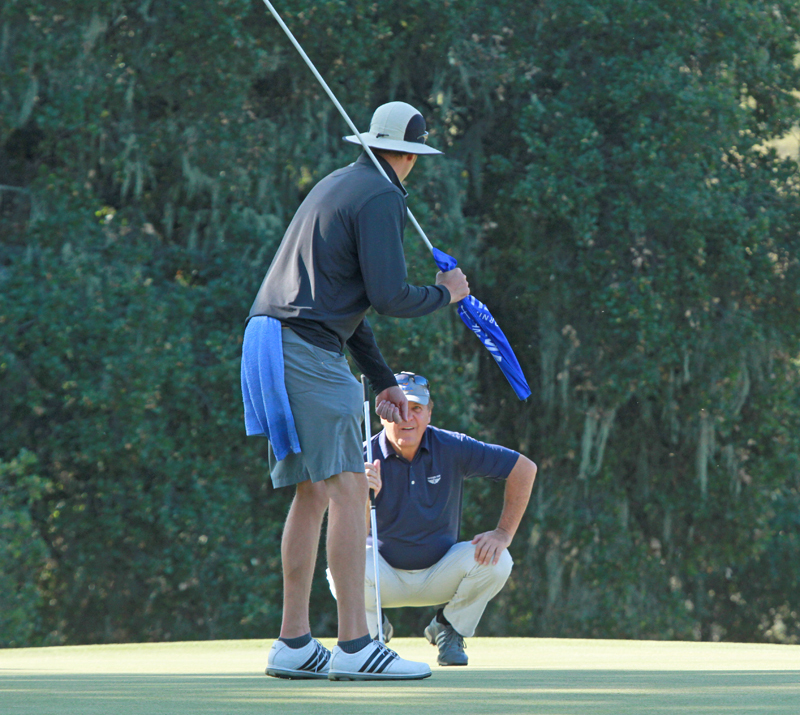 Three players–David Oas, Gary Havro and Bruce Hanavan–are T-4 at 71. 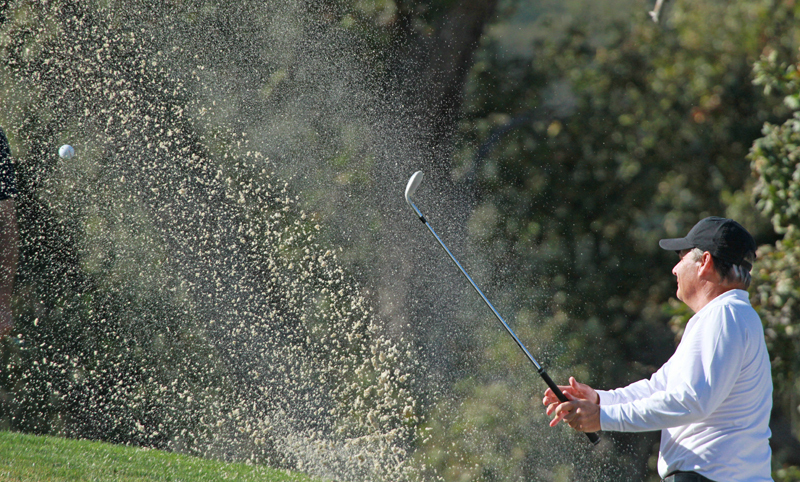 Another three–Jim Knoll, Gary Vanier and Mike Rowley–are just three behind after opening 72s. Vanier won the championship in 2007, while Knoll, who won this year’s NCGA Senior title, got a Cal Senior win in 2013. 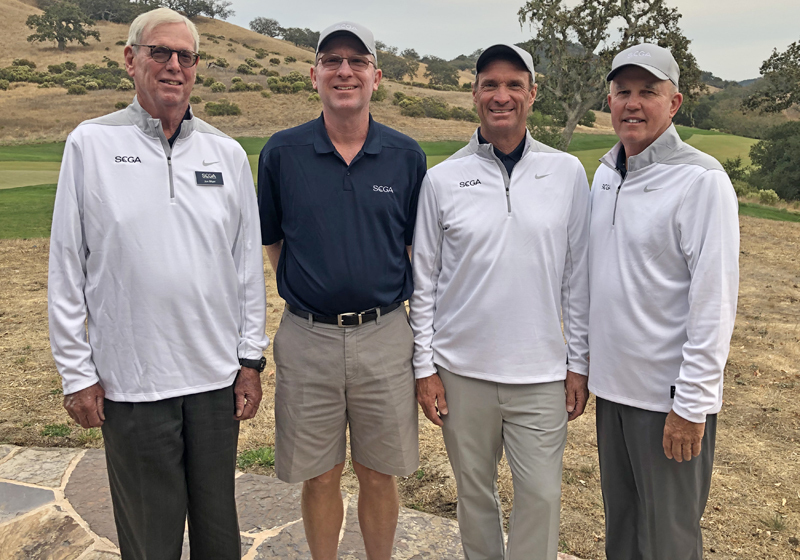 In the annual Senior Cup, which pits three players from the SCGA versus three players from the NCGA (best two scores out of three), the NCGA jumped to a 142-148 lead behind Haag’s 70 and Knoll’s 72. Morgan shot 76. The SCGA got their scores from Craig Davis (73) and Robert Funk (75). Jeff Burda, winner of the recent NCGA Super Senior Championship, shot 76. Following Tuesday’s second round a cut will be made with the low 30 and ties advancing to Wednesday’s final round. 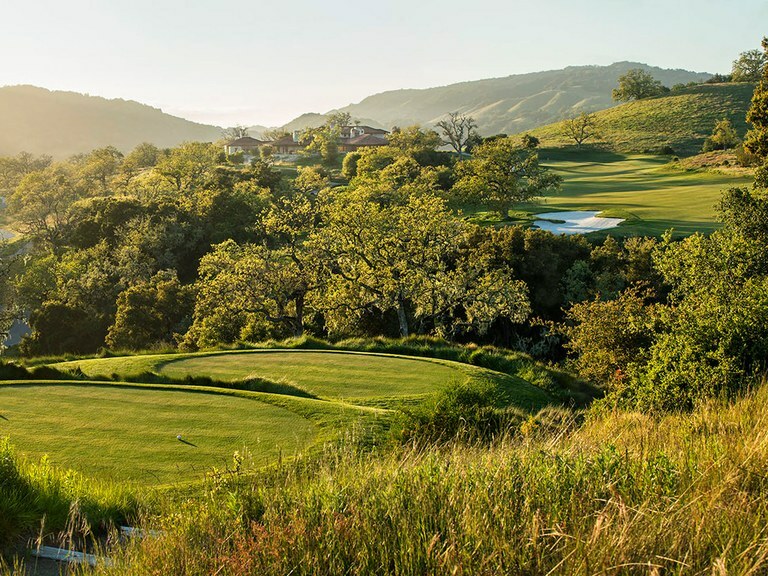 First played in 1992, the California Senior Amateur Championship is the state’s premier event for players aged 55 and over. 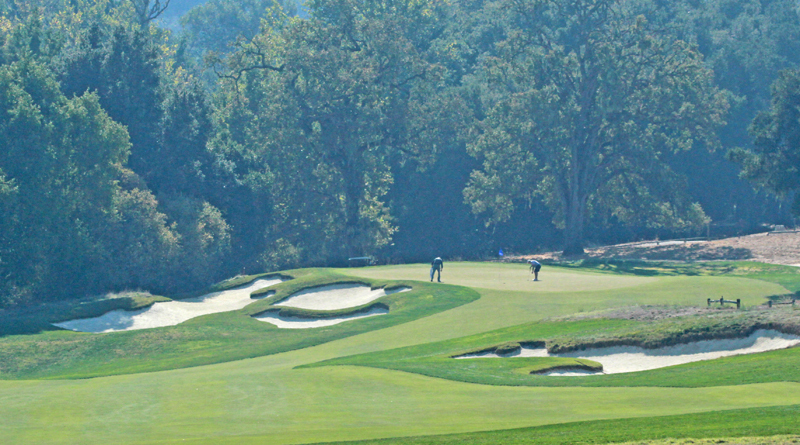 For most of the event’s history, Poppy Hills was the host venue (1994-2009), although the initial contests were held at Ojai Valley Inn and Spa. In 2010 the tournament began a rotation between north and south courses, with north courses hosting in even years and south courses hosting in odd years. Jim McMurtey, Jeff Burda and John Pate are the only multiple winners of the event. McMurtrey and Burda both having won three times each: McMurtey (’94, ’95 and ’98); Burda (’08-’10) and Pate twice (2014, 2016). Burda also holds the record for lowest 54-hole score, posting a 209 (seven-under par) in 2008, which included a final round 65. Mark Harding, who won in 2015, matched Burda’s 54-hole record with a winning score of 209. In 2007 Gary Vanier made history by becoming the only player to win both the Cal Amateur title and Cal Senior title in a career, until Casey Boyns matched the feat in 2012. The championship also includes a team event during the first two rounds comprising four selected golfers from the NCGA and SCGA. The NCGA leads 14-7 in the series, which began in 1995.